The Silk Road threading through Xinjiang's deserts and mountains carried China's trade westward and eventually opened the way for Islam's expansion eastward. Seven of the 12 minorities here are Muslim, most speak Turkic languages and for centuries used Arabic script. They traditionally lived in the northeast in Liaoning and Jilin Provinces with the Manchus. In 1764 they were moved to the west as border guards on the Russian frontier where most of the Xibe still live in the Xinjiang Autonomous Region. They are the largest single group of Manchu speakers in the country. 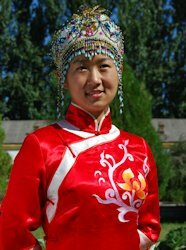 They are part of the Altaic Tungus-Manchu ethno linguistic group. Most of the Xibe live in the fertile areas in northwestern Xinjiang, especially in the Ili Kazak autonomous prefecture's Qapqal Xibe autonomous county and the Huocheng and Gongliu counties. The rest are scattered over such areas as Shenyang, Kaiyuan and Yixian in northeastern China. 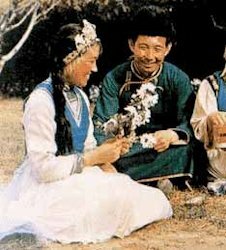 Originating from different geographical and historical backgrounds, the Xibe people in the northeast and northwest have developed vastly disparate lifestyles. 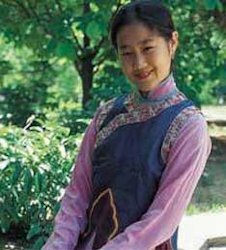 Those in the northeast have become increasingly similar to the local Han and Manchu in cultural areas such as language, costumes, and food and in their general style of living. On the other hand, those living in compact communities in Xinjiang have not strayed far from their own customs.